I like savory biscuit then sweet I have said this before rite? And when the recipe is like so simple then nothing can hold me back from trying it. This biscuit is again very easy like Wheat Almond Cookie, tasted much better than I expected. It's crunchy with lot of flakes and the pepper, herbs add such wonderful flavor, each bite is just so yum. I really loved it the fact that it's very flaky and smell so good, everyone if you open the box you are storing these biscuit you will get hit with this amazing pepper and herbs fragrance. I just happen to find this recipe while I was looking for something else, it's keeper for me and am sure if you try you won't be disappointed too. 1. Preheat oven to 375F or 180C. 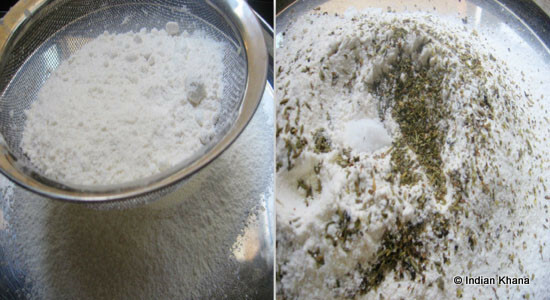 Sieve baking powder, soda and flour, add freshly crushed pepper corn, herbs, fennel seeds, salt and mix well. 2. Add oil in 2 batches and mix with flour, rub between hands to get sand like texture. Adjust salt and spices if required. 3. 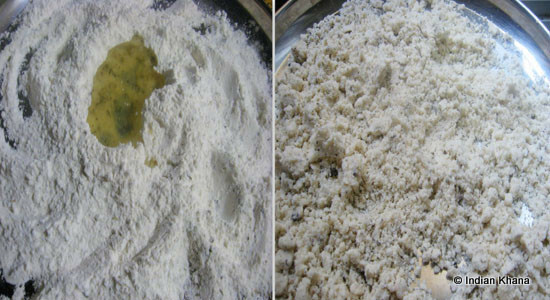 Add water in small quantity with flour mixture and make a soft dough. ~ I used 1/4 Cup and then added 1tsp of water again to bring all the flour together so you have to add water in small quantity, make sure the dough is not sticky but smooth, if not add 1 tbsp of flour and mix again. 4. Divide the dough into equal portion. Roll the dough between floured or oiled hands and make it into cigar shape. 5. Form a U shape, then criss-cross the pieces until a braid forms as shown in the picture. Place each piece an inch apart on a baking tray lined with greased cookie sheet. 6. Bake for 40 minutes or until the biscuit is golden brown, after 20 minutes flip the biscuits. Cool on a wire rack and store in air tight container. ~You can also brush the top of biscuits with egg wash before you bake it, I didn't do that. ~ You can reduce the pepper to 1/4 tsp if you think 1/2 is too spicy for you. It makes a very good tea time snack. 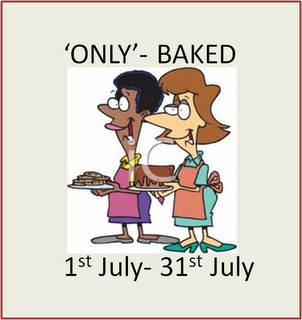 And sending this to Only Bake Event by Tamalapaku and a event started by Food delicious. And sending this to Only Bake Event by Tamalapaku and a event started by Food delicious. They r so perfect n awesome with tea..
Those twisted biscuits looks sooo prefect and damn addictive,feel like munching some;. Looks crispy & crunchy.Feel like grabbing the plate. Perfect with tea indeed..looks crunchy and so delicious..
Nice pics and good for time-pass too ! perfect biscuits n perfect with tea! Looks yummy, bookmarked this, will try asap. Love savory snacks anytime.. this looks like a keeper.. bookmarked..
perfect with tea,.biscuit looks too good,. Loved the shape of the biscuits. Bookmarking this..Thanks so much for the step by step.It really needs lot of effort Suman..
Pepper biscuits look so good. Loved the shape. Bookmarking this. Thanks for the step by step.It takes a lot of effort. Thanks Priti. Sorry for the wrong name.. I love tjhis dish Priti. I've had it before but it looks nothing compared to yours. Thanks for the inspiration. Crunchy biscuits..love the spicy version..
Bookmarked dear for I love the savoury biscuits more than the sweet ones. Lovely looking biscuit. Would love to indulge in some. Great flavor and perfect tea time snack! 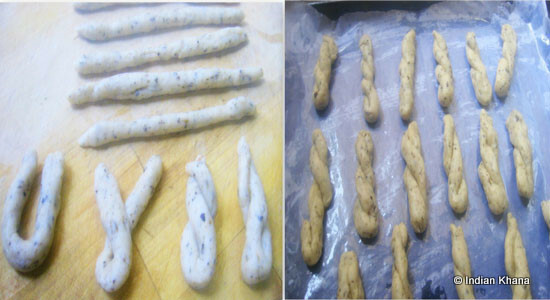 Lovley savory biscuits..loved the shape..nice step by step preparation! Yum, they look superb !!! Yummy savoury biscuits love the addition of fennel. Nice teatime snack! The shape of the biscuits are cute! Looks crispy and crunchy,lovely Italian pepper biscuits. 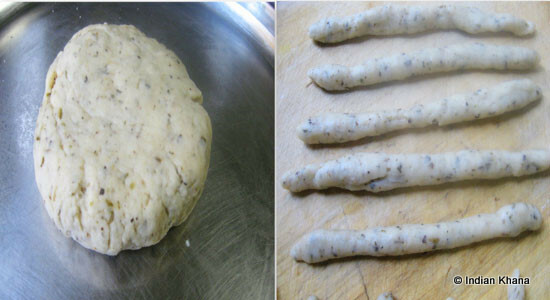 Italian pepper biscuit looks delicious nice step by step recipe. they look awesome, love the recipe, superb one dear..
Love to have with cup of tea, Delish & yummy..
nice recipe- good bake ! What a delicious treat Priti! LOVE these kinda a teatime snacks! I also love savory biscuits, sometimes even more so than sweet. Great recipe, they look perfect with tea. I have read each of the recipes up until this one and I wanted to make each of them. You have a wonderful site, here, and I hope to become a regular visitor. awesome crispy biscuits there!! thanks for sending it over.